At least two people were wounded as police fired live bullets and tear gas Sunday to break up a banned protest against DR Congo President Joseph Kabila in Kisangani, the country's third largest city, as tensions mounted nationwide. An AFP journalist in the northeastern city said hundreds began marching after mass at the cathedral but were dispersed by security forces who fired bullets and tear gas. At least two people suffered bullet injuries, and the demonstrators fled back into the cathedral singing the national anthem, "Debout Congolais" (Arise Congolese). Three priests were arrested as they led a march in the Saint Pierre de Wagenia district in the east of the city. Officers took them away in a police vehicle. Young people in Kisangani's working class Mangobo district also gathered on the streets just metres from soldiers of Republican Guard, the elite unit charged with protecting Kabila. The protests come after months of tension sparked by Kabila's prolonged rule and long-delayed elections in the Democratic Republic of Congo. They were called by the Lay Coordination Committee (CLC), an organisation close to the church and an influential social and spiritual movement. But authorities banned the demonstrations. Kabila was due to stand down from office in December 2016, ending his second elected term, but he has controversially stayed on under laws enabling him to retain power until his successor is elected. In January he accused the church of interfering in Congolese politics. Previous protests on New Year's Eve and January 21 saw a total of 15 people killed by security forces, according to tolls given by organisers and the United Nations. The government said just two people died in the unrest. In the capital Kinshasa, police put up barricades, searched vehicles and checked people's IDs on Saturday evening. But police presence was lighter on Sunday than in the two previous protests. Residents had braced for a cut in internet services as had been the case before the two previous demonstrations, but connections were normal on Sunday. 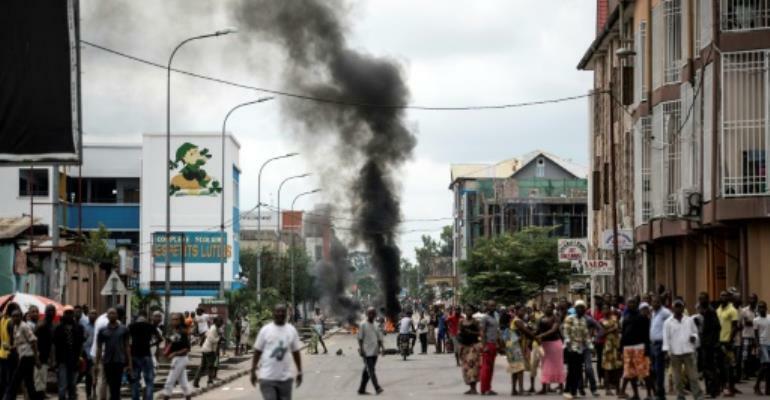 Kinshasa police chief General Sylvano Kasongo said Saturday he was under orders to "take measures to ensure the security of the population, and to stop anyone who attempts to disturb public order". But he added: "The goal is to have zero casualties." Two previous anti-Kabila protests saw a total of 15 people killed by security forces, according to tolls given by organisers and the United Nations. Hundreds of ruling party supporters had stormed Kinshasa cathedral on Saturday. 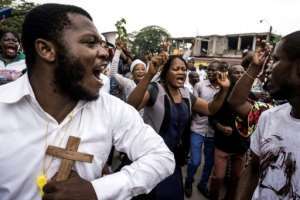 "We have come to take possession of Our Lady of the Congo Cathedral to take part in Sunday mass ... and defend the homeland," Papy Pungu, youth wing leader of the People's Party for Reconstruction and Democracy (PPRD), told AFP. On Friday, the European Union, Switzerland and Canada issued a joint statement underscoring the "importance of respecting fundamental rights including the right to demonstrate." Political tensions in DR Congo have been mounting since September 2016, when clashes between youths and security forces left dozens of people dead in Kinshasa. The latest timetable to hold elections is for December 23 this year, two years later than scheduled.